Will you take up the Cranbourne Reading Challenge? How many books can you read before the end of the school year? Will you be the first to gain a gold award? Your department challenge card shows you what you need to do to gain your bronze, silver and gold award. 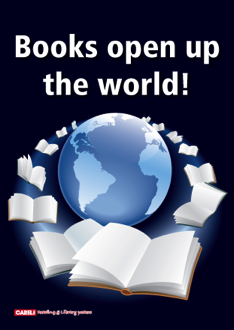 Open the links below to access your Teacher Choice books or Key Authors or Classic Book lists. Check back regularly for extra information about book suggestions - or look at the display boards outside the assembly hall.